So The Swashbuachaill hightailed it off to France recently for the full pair of weeks seeking refuge from the deluge but it turns out precipitation and lots of it is currently the in-thing right across North Western Europe. But, as always, it began promisingly with the always-pleasurable cruise out of Cork Harbour on the Pont Aven, a most superior take on ferry travel for those of us, veterans of the Slattery’s coach trips to London in the 80s. And then, lo, who should I spy in the vessel’s piano bar (‘piano bar’, says you!) – none other than a true Cork legend, Mattie Kiely, formerly of the late and very much lamented, Kiely’s chipper on Maylor St, in Cork. Mattie was en route to Lourdes, an annual pilgrimage he makes with his lovely wife and a group from Ballinlough, the Cork suburb where he lives (turns out I lived around the corner from him for a number of years and never knew!) but for me, this was a culinary equivalent of heading off to Mecca and bumping into Mohammed along the way. Safe to say, if Kiely’s were still open then any arguments over the best fish and chips in Cork, nay, Ireland would all be redundant — when Kiely’s was around there was simply no other competition. Kiely’s was a rather non-descript little place, housed in a chocolate-brown building halfway down one of the sidestreets off ‘Pana’, Patrick’s St, Cork’s main central thoroughfare. It closed in 2007 on the cusp of the recession so remains unchanged save the addition of an auctioneer’s sign, but with Mattie gone, all the heart has gone out of it. The interior itself was equally unstartling: to the best of my memory, a small, low-ceilinged room, possibly fifteen feet by twenty with a chest high counter and a shelf that ran around the wall providing eating space if you weren’t heading off with your newspaper-clad takeaway. But, oh the food, a different ball game altogether! 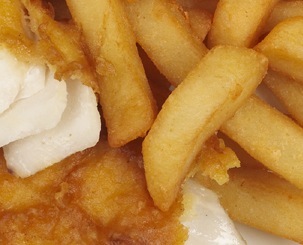 Piping hot, golden chips, with a steaming, fluffy white interior and some of the nicest battered fish I have ever eaten, none of your doughy sludge encasing overcooked fish for Mattie. Tales of Mattie’s sharp wit are legion and legendary around Cork but in truth he is a very decent man, a classic gruff exterior concealing the heart of gold, and like any true Corkonian there was little or nothing could throw him out of his stride. Way, way back when The Swashbuachaill was much less swash and a lot more buachaill he emerged from a pub, Flynn’s (precursor to the long departed Donkey’s Ears, next to The Phoenix, Charlies and The Lobby on the ‘Gaza Strip’ over on Union Quay) on the class of sultry, summer night that grows increasingly finer in memory with each passing day of this rather damper affair. We were, as was most fashionable at the time, after an equally fine feed of porter and the combination of porter and summer had elevated jinks to an inordinately high level. The gradually-disgorged clientele of all four pubs moved across the road to the riverside to continue the evening’s shenanigans when one intrepid young Gael decided a dip in his native River Lee was in order. Within a minute, it became obvious he was no longer the master of his own destiny so I took it upon myself to hurl in a lifebelt, enlisting a compadre to hold the rope. My first effort was short so I turned to said compadre, giving the order to haul her back in. Unfortunately, said compadre’s grasp of the heroic nature of our mission was not of a first-rate nature and his grasp of the rope-end poorer still. The assembled mob watched as the lifebelt sailed swiftly under one arch of the bridge and our poor benighted swimmer was swept under another. As one, we ran to the bridge to watch him come out the far side, a number in our party attempting to open a swift book on who would emerge first. On the far side, it soon became apparent that ‘swimmer’ was no longer an appropriate description as the fast moving river swept him downstream. This was an era long before mobile phones and attempts to get back in to the pubs to phone emergency services were dismissed by the publicans as mere ruses to obtain more drink. Which, of course, was entirely true. But somehow The Swimmer struggled over to the far side of the south channel of the River Lee and was eventually able to haul himself up a step ladder and off into the night. Entertainment over, we headed to Kiely’s for chips. It was what you did. Across the bridge and onto Parnell Place, we hit upon a watery trail, evidence of The Swimmer having passed this way before us. And we followed that trail all the way to Kiely’s where there was a fair old pool of water by the counter. Mattie confirmed a rather damp customer had purchased chips a few minutes before us and what of it? When we told him our epic tale, he merely shrugged and carried on taking orders and serving up the finest fish and chips known to man, woman or child. First opened in 1940, Mattie Kiely saw a lot more than a wet customer on a dry night in his lifetime behind the counter. ‘Institution’ is an overly used epithet but Kiely’s was nothing if not an institution, frequented by all classes of society in Cork, where private school pupils chowed down alongside dockers coming in half-cut from the early house and Mattie treated each and every one the same —take your order and that was that. It took time, years, to earn the right to further conversation with Mattie and a smile or laughing response was akin to entry into a truly exalted inner sanctum. By the time, I ever merited anything close to that, Kiely’s was no longer open by night and I was taking my teenage son there for chips on the way home on a Saturday afternoon. Appropriately enough, I finally got to sit down and shoot the breeze with him at sea for he is a man whose life was utterly taken up with fish. For that’s what Mattie did – fish. 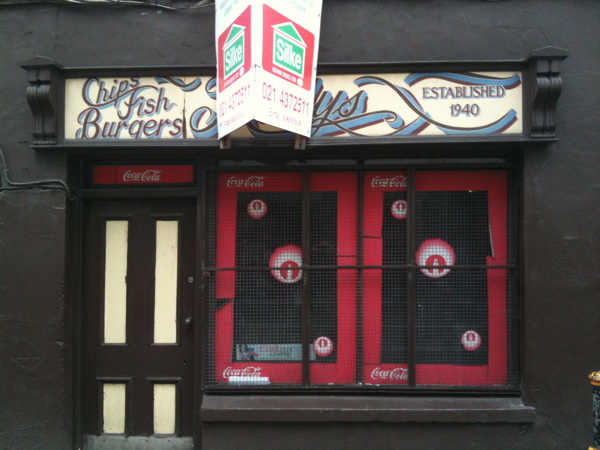 Granted, there were burgers as well but they were merely a token gesture, a nod towards evolution in the takeaway business, Kiely’s was an old school fish and chip shop. And we talked fish for quite a spell, bemoaning the ignorance of each new generation who appear to think fish come in breadcrumbed fingers straight from the sea. He was also rather dismissive of the efforts of some of the pretenders to his crown in the Fish & Chip world, dismissing them with the consummate disdain of an untouchable master. Then with the mutterings out of the way, we began entertaining ourselves with talk of various piscine dishes and their optimum preparation and consumption. For the record, Mattie’s favourite fish? 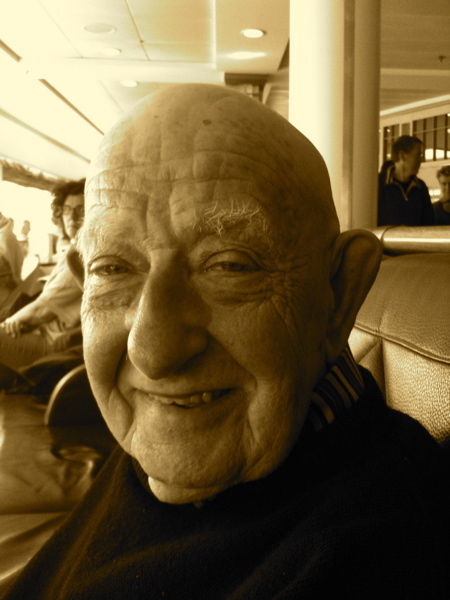 Well, we both agreed a decent piece of freshly-caught mackerel can give salmon a run for its money any day of the week but back in the chipper, other than the ubiquitous cod, Mattie was always a great man for the whiting. However, if push came to shove, it had to be a bit of haddock. And the spuds for the chips? Maris Pipers. No hesitation, Maris Pipers and he wasn’t going to brook a single argument. Blessings upon you, Mattie, and thank you for much more than the finest fish and chips down through the years. Check out Ed Godsell’s lovely and very poignant award-winning short documentary film, Mattie Kiely’s Last Day. This entry was posted in Cork, Fish and Chips, Retailers, Seafood and tagged best chips in Ireland, chipper, Cork Institution, Fish and Chips, Kielys, Mattie Kiely, Mattie Kiely's Last Day, Maylor St.